This workshop is intended to aid businesses and companies in creating and implementing professional development in the workplace. With a variety of options available, this workshop —intended to be given in-person or as an online learning video, shown above—presents and discusses the different ways professional development could be incorporated in a workplace setting. Additional training and planning materials would follow. The University Writing Center (UWC) at James Madison University has seen an influx of clients coming to the writing center for help on rhetorical analysis essays assigned in their first-year writing classes. I partnered with the UWC to address the need for additional learning materials to aid in the instruction and support of teaching and tutoring rhetorical analysis assignments. As part of the project, I completed a needs analysis and created a design document that was guided and approved by the stakeholders; the final project took the shape of an online learning video and an interactive quiz. I partnered with Woodland Montessori School in a rebranding and website redesign effort. This project included writing web content, revising and updating informational and instructional materials, and creating more multimodal web components, including an online video. The school has previously been relying on paper forms and corresponding via email to current parents, so this project also included updated communication efforts. During the many years I’ve worked with student writers, I’ve noticed that writing is often viewed as a laborious task that can be completed quickly with a single draft the night before an assignment is due. To attempt to encourage a process view of writing, I developed a concise and easy-to-read handout that demonstrates the stages of the writing process. I’ve used this handout in classes, and it was later adopted by JMU’s University Writing Center to help demonstrate the same idea to their clients. This informational handout and practice sheet was developed in conjunction with a number of other instructional handouts for the University Writing Center at JMU. Intended to address the issue with wordy, overly complicated sentences, this instructional handout discusses the steps of the Paramedic Method and how to identify and revise wordy sentences. In today’s workplace environment, technology is at center-stage. But deciding what tools would be most beneficial to a team and the work they do can be difficult. This blog post discusses and reviews several technology options based on categories. During a semester-long community partnership with Skyline Literacy, I worked closely with the non-profit to conduct an intensive needs analysis and create communications materials that responded to the organization’s current needs. The resulting projects included a strategic marketing plan, a full photo gallery for marketing and promotions purposes, several web stories, and a collection of social media posts. The discussion of the analysis process and the projects can be found here. 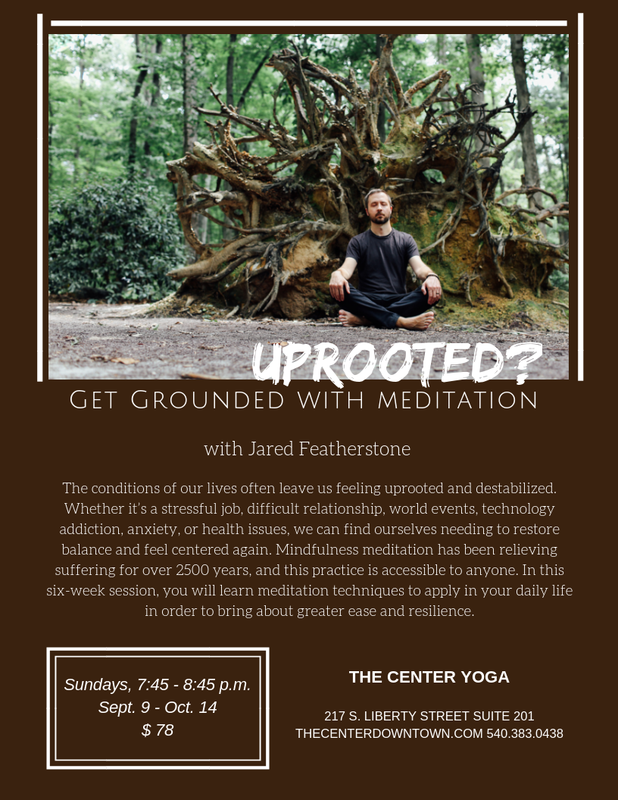 For several years, I’ve partnered with The Center Yoga to create promotions and marketing flyers for several of their series. These projects required taking headshots and photographs that visually demonstrated the series content, as well as editing and revising textual content given to me by the teachers. INSTRUCTIONAL HANDOUT: WHAT ARE WHITE PAPERS? In order to teach a class about white papers, I create a quick guide to what reports should include and the tone they typically take. This design-centered, informational guide was intended to be a brief introduction with quick tips and basic steps.